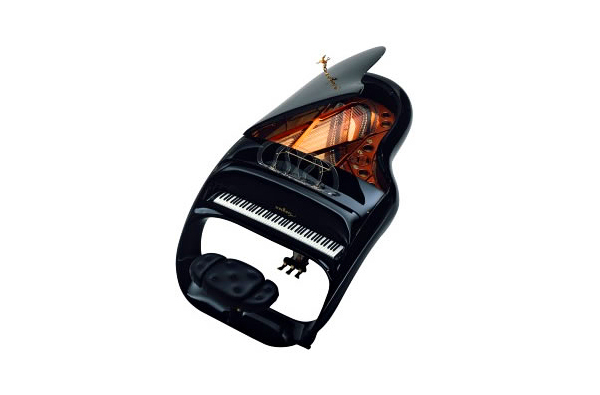 This collection represent you the most creative, stylish and definetly unusual grand pianos from all the world. These grand pianos were created by famous design studios, sometimes in tandem with instrumental manufacturers. Some of them excist on one exemplar. Some of them are available in limited edition. And many of them cost more than $100,000. 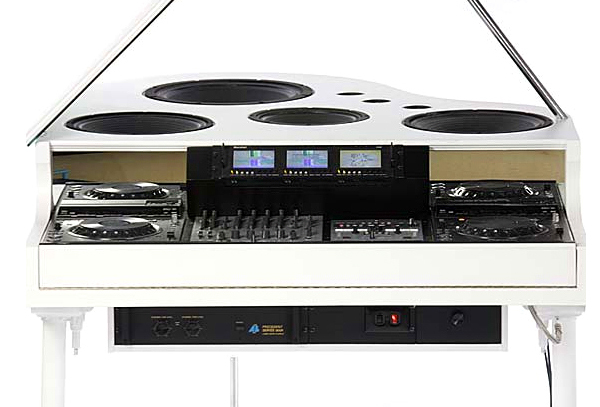 Audi Grand Piano, Porshe Grand Piano, Schimmel Pegasus… Wonder if the sound quality correspond to their appearance? Audi Design Studio in tandem with Vienna-based piano manufacturer Bösendorfer to 100 th anniversary of the German auto-concern decided to create a grand piano. “Generous surface areas ensure formal clarity; there are no decorative applications, the edges and lines are sharply drawn, the joints logically positioned. All these are important aspects of the Audi design,” says Designer Philip Schlesinger, who implemented the project at the Concept Design Studio in Munich. 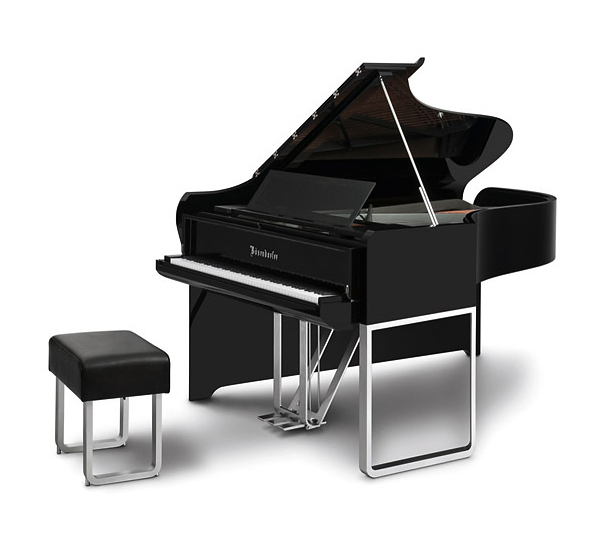 The new instrument can be ordered via the Internet at audi@bosendorfer.com for €100,000. 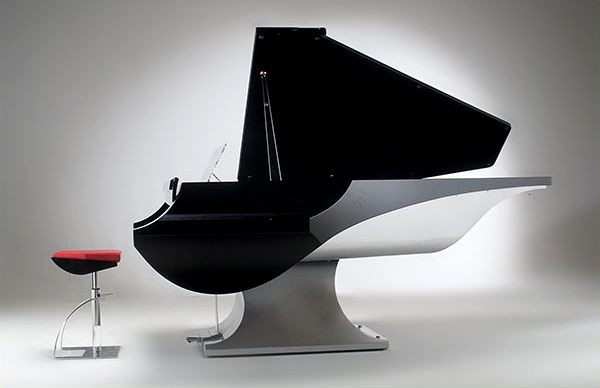 In 2003 Bösendorfer made grand piano designed by Porshe Design Studio. Another grand piano from Bösendorfer. The music of shape and the design of sound are created in the M. Liminal model, designed by NYT Line and made by Fazioli. Inspired by the sea, the shape of the side evokes the profile of a wave while the black-silver colour that of a dolphin. 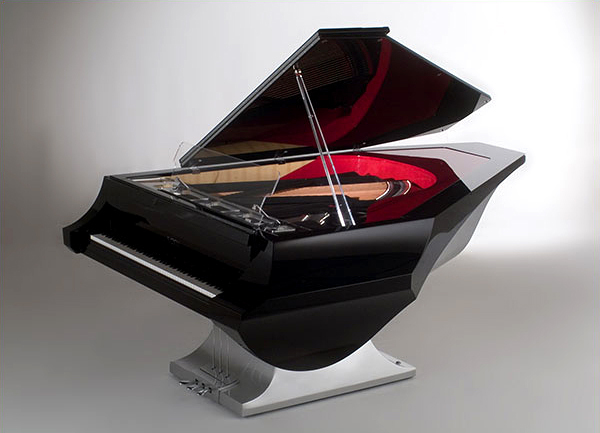 The piano sits on a brushed-metal base encased in a natural wood, red, and black body. 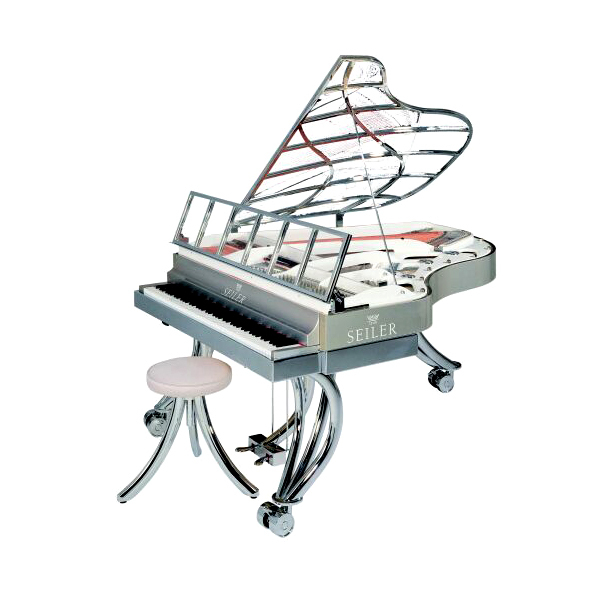 Portions of the piano are made with Plexiglas, like the cover stand and the music stand. 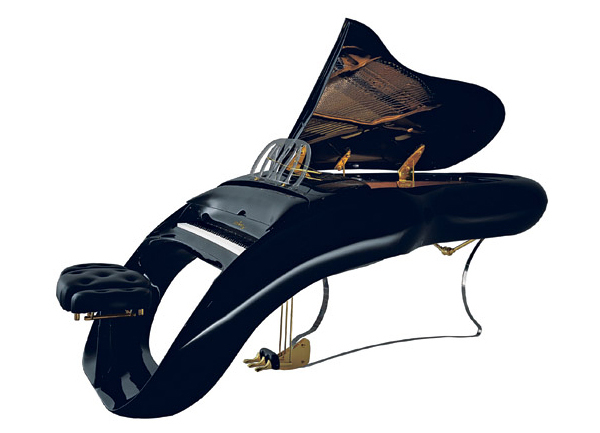 This grand piano looks like it came straight out of a science fiction movie. 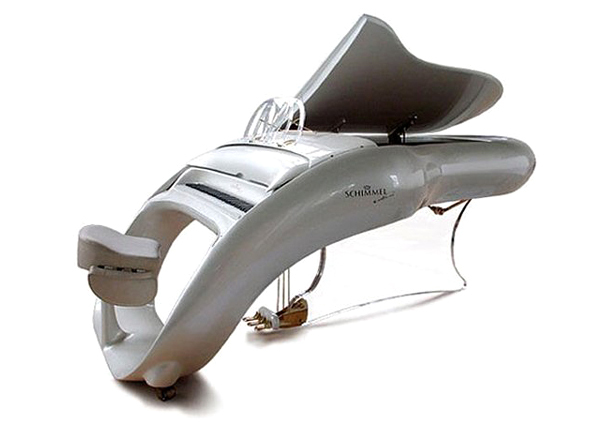 The hand-made Schimmel Pegasus has an ergonomically curved keyboard, over 200 strings under a total tension of 176,520 newtons, and a key assembly composed of 10,000 pieces. Only 14 were ever made ten years ago for persons like Eddie Murphy, Lenny Kravitz, and Prince. Last one was sold for $110,00. 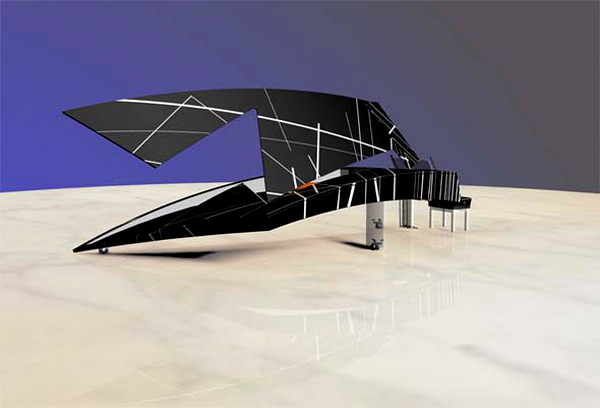 Architect Daniel Libeskind is teaming up with german piano maker Schimmel to create a 5 meter long grand piano that will fit right at home in the newly designed Michael Lee Chin Crystal at the Royal Ontario Museum. It costs only $300,000. Another grand piano from Schimmel. 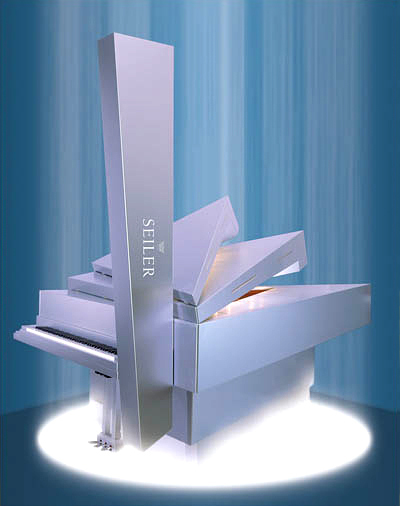 Old famous German factory Seiler created several unusual grand pianos. This grand piano was created by China company Perl River. 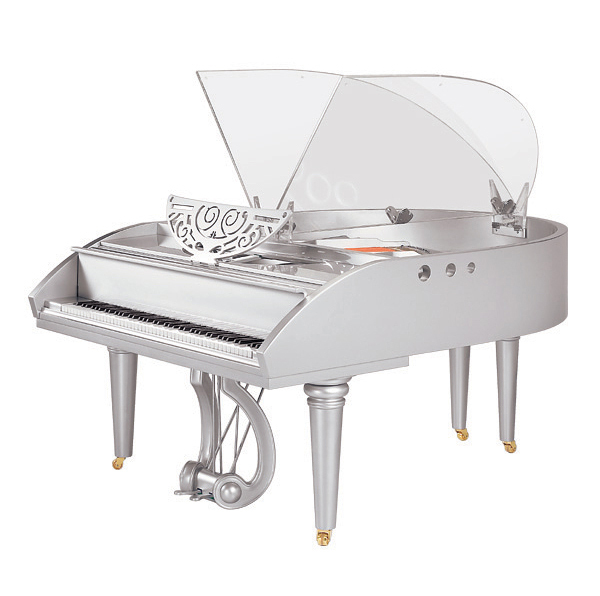 A truly original design, fashioned after a dancing butterfly, this art deco piano stands alone in its originality. The contrast of acrylic wings and metallic body enhance its sophistication. 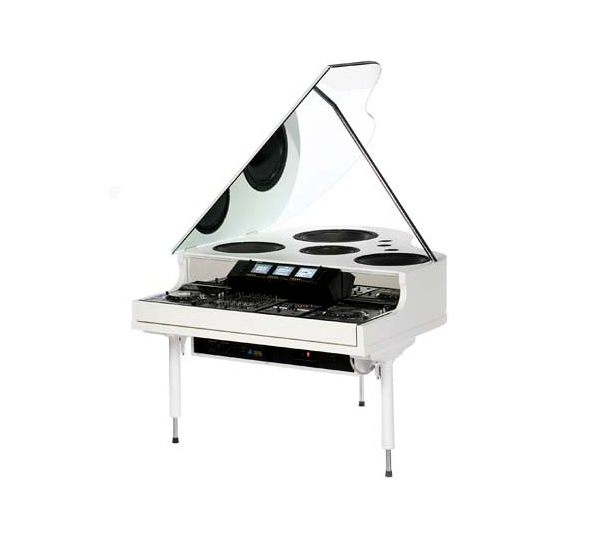 And at the end we want to show you grand piano for DJ – The Baby Grand Master DJ Mixing Piano. Audi’s is definitely the best balance of tradition and modernism. 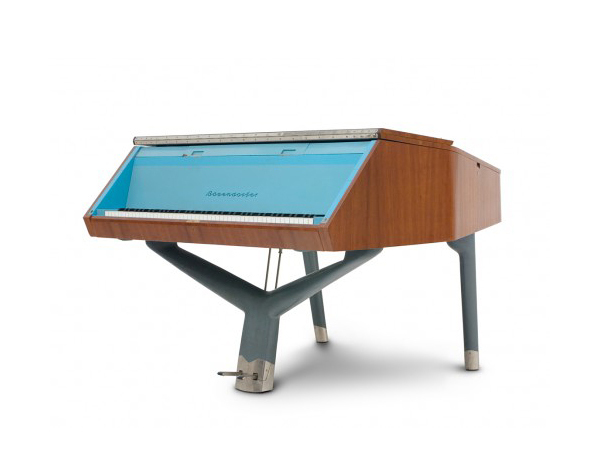 That sweet retro blue bossendorfer is pretty awesome as well, though. Most of the others are a little too gaudy for me. I am actually designing a piano for my BFA senior project (Industrial Design, Brigham Young University). Soooo awesome. 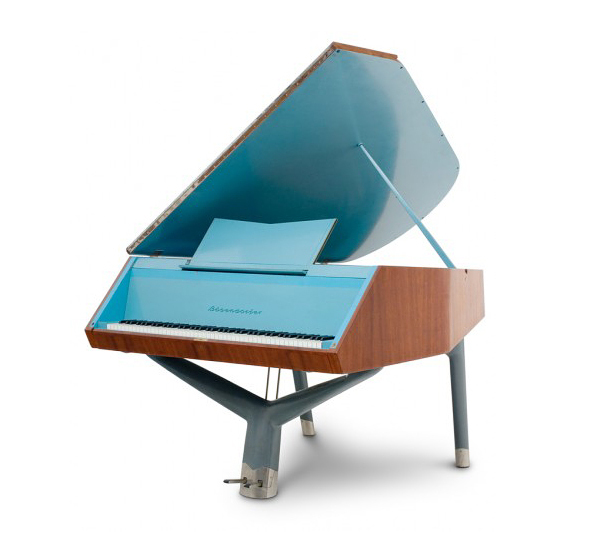 I love how they are unconventional looking pianos and they are starting to become more and more stylish! 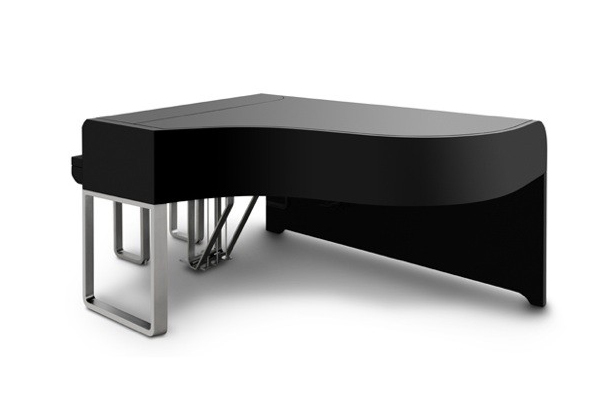 Excited to see the future of grand piano designs. 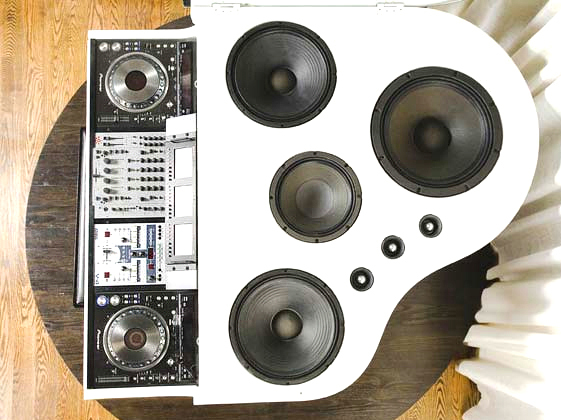 the last one looks more like a mixing table than a grand piano.